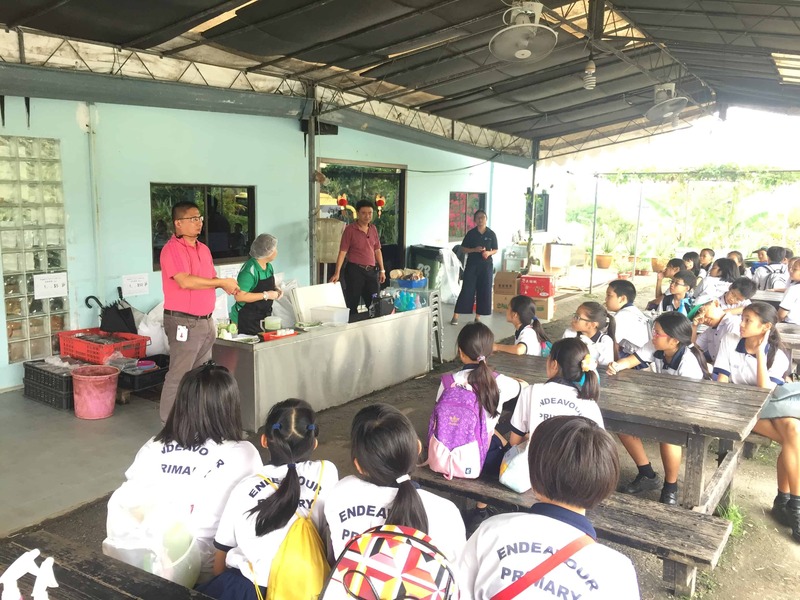 On 12 April 2017, Ecoponics conducted an enriching learning journey for Endeavour Primary School, educating the students on Singapore’s local farms. At the start of the learning journey, students were prompted to think about the origins of the food they were eating on a daily basis and also the locations of some local farms. 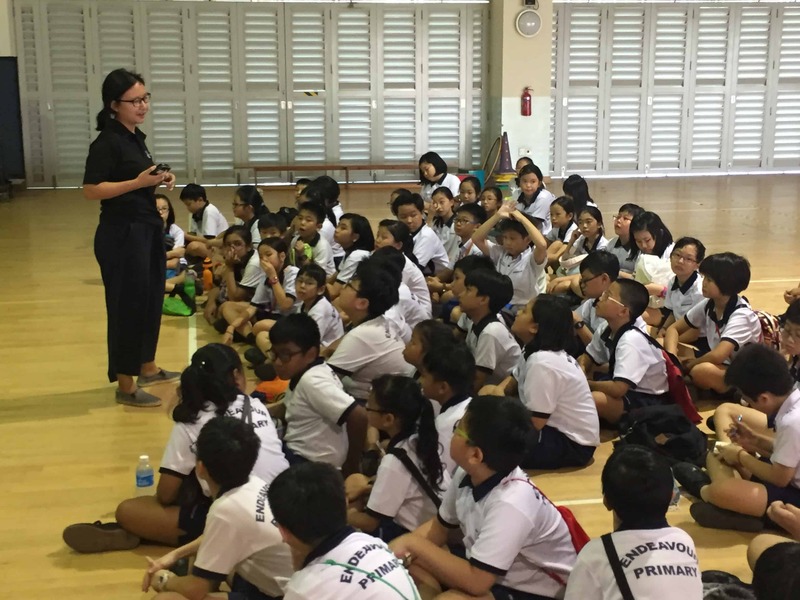 During the introduction, students were made aware that 90% of the food they have been eating was being imported from other countries, while less than 1% of Singapore land is being used to grow food. Students were shown the importance behind local farming, and how they can contribute to aid the growth of local farms as well as engaging in the production of their own food. They were also introduced to forms of new technologies currently being used in local farms to increase their productivity. After the brief introduction, students were brought to Kim Yan Agrotech Farm, which is the largest local farm of wheat grass in Singapore. During the tour, students had a glimpse of what organic farming is and the various detriments of chemical farming. In the farm, students got to see how crops such as wheat glass, aloe vera, edible cactus, Roselle are cultivated. They were also introduced to an unconventional type of farming; mushroom farming, that does not require any direct sunlight. 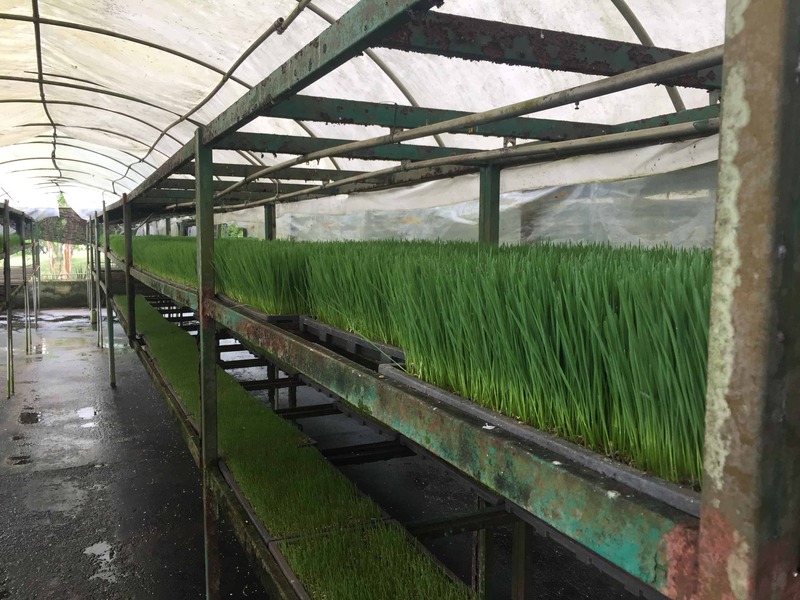 Besides just touring the local farm, students also got to engage in hands-on activities such as growing their own wheat grass with the use of a growing kit and were taught the conditions needed for optimal growth of wheat grass. At the same time, the students learnt how to prepare and taste the quality of Aloe Vera grown in the farm. For for information on our visits to local farms and how to plan one, do drop us an email at [email protected]!